R&D focuses on strengthening solar-capture capabilities. A team of researchers at the University of Saskatchewan are trying to improve the efficiency of solar cells, and after years of R&D to prove their theory, they’ve now got $492,000 to bring the idea to life. Ron Steer, a physical chemist in molecular spectroscopy, and his team are trying to prove a process called photon upconversion will improve the energy-grabbing capabilities of the modern-day solar cell by making use of often wasted infra-red light. The team, which also includes University of Saskatchewan researchers Tim Kelly, Matt Paige and Rob Scott, is working to make organic photovoltaics, also known as dye-sensitized solar cells, stronger. Dye-sensitized cells are notoriously brittle, but by incorporating a tougher material known as carbon nanotubes, the team hopes to develop an organic solar cell that’s not only stronger, but will transmit more energy than traditional, more expensive photovoltaics. Burgess says the crux of the research is taking infrared light and turning it into something useful. Even the best solar cells today – such as those used in spacecraft – are only about 40% efficient, while energy capture in consumer level photovoltaics is only about 12%. Both are also currently far too expensive to make a major market impact. Tim Kelly says the team hopes to eventually maximize the dye-sensitive cells to near 50% efficiency. Thanks to the Natural Sciences and Engineering Research Council (NSERC), the team will have the opportunity to answer that question and become one of the 70 university teams across the country that have been granted more than $30 million towards solar research. Steer and his team have been granted almost $500,000. And once it is, the technology could be in high demand. 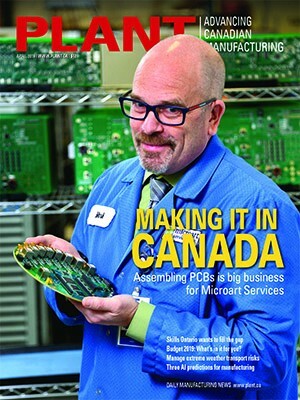 According to Natural Resources Canada, 70% of Ontario’s energy grid will need to be refurbished by 2030. The province’s green energy incentives have also attracted billions of dollars in foreign investment and major manufacturing partnerships for companies such as Celestica and Enbridge. The technology could also have an impact on the amount of land necessary to create the massive solar farms because if the technology works, individual cells will transmit more energy. Solar may be the fastest growing industry in the world, but it still produces less than 1% of the electricity generated. High total system costs likely have a good deal to do with the slow rate of adoption. Research such as the University of Saskatchewan’s photon upconversion investigations will improve solar cell efficiency and bring costs down, which will increase adoption rates. 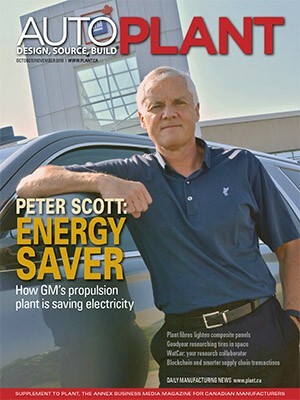 This article appears in the March/April 2012 edition of PLANT West.